2018 has seen Mundy in Asia, Serbia, U.K, Germany, Austria, Italy, Switzerland, USA and Ireland. He and his band will close off the year with a bang at his beloved Whelan’s. Playing songs from his rich catalogue from the last 21 years plus some new material and maybe a festive song or two? Irish singer/songwriter Mundy is one of a number of artists to successfully make the transition from street busking in Dublin to international stardom during the ’90s. Mundy’s mainly acoustic, folk-based pop/rock has been compared to Damien Rice and Josh Ritter; however, his style is more upbeat and celebratory than either, and his jangle pop influence and tendency to experiment with unconventional sonic textures and beats further distinguishes him. Mundy signed with Sony subsidiary Epic Records, and released his debut single, “To You I Bestow”, shortly before his album “Jelly Legs” was released in 1996. “To You I Bestow” was included on the soundtrack for Baz Luhrmann’s Shakespeare adaptation Romeo & Juliet, alongside tracks by Radiohead and Garbage. It sold 11 million copies and “Jelly Legs” a respectable 50,000 worldwide. Mundy went on to release the multi platinum record 24 Star Hotel, with hit tracks ‘July’ and ‘Mexico’ becoming firm favourites. Raining Down Arrows, which hit the #1 slot in the Irish Album Charts, came next and was recorded in the musically revered city of Austin, Texas. His first live album Live and Confusion followed recorded at a storming and sold out Vicar St show. It was certified platinum in 2007. Galway Girl was recorded as an encore and went on to become the best selling single and most downloaded song 2 years in a row in Ireland. His 4th studio album, Strawberry Blood, followed in 2009 and saw Mundy touring Ireland, Australia and the UK once more. Shuffle was released in 2011 and was a gorgeous ode to some of Mundy’s most favourite songwriters. It featured his versions of songs by greats like Tom Waits, Lucinda Williams, John Prine, Paul Simon and Gillian Welch, to name a few. He’s since been touring the US, performing at The Royal Albert Hall – not to mention the small matter of performing for Barack Obama both on his Irish visit, and at his home in The White House. 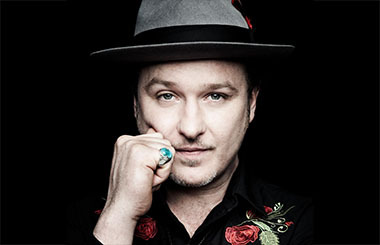 Mundy teamed up with Youth again, who produced his debut album, the critically acclaimed Jellylegs, which yielded such hit songs ‘ Gin and Tonic Sky’, ‘Life’s A Cinch’ and ‘To You I Bestow’. The latest album ‘Mundy’ was released in 2015 and Mundy has been very busy touring ever since. Mundy and full band will be in Whelan’s on Sat 29th December.